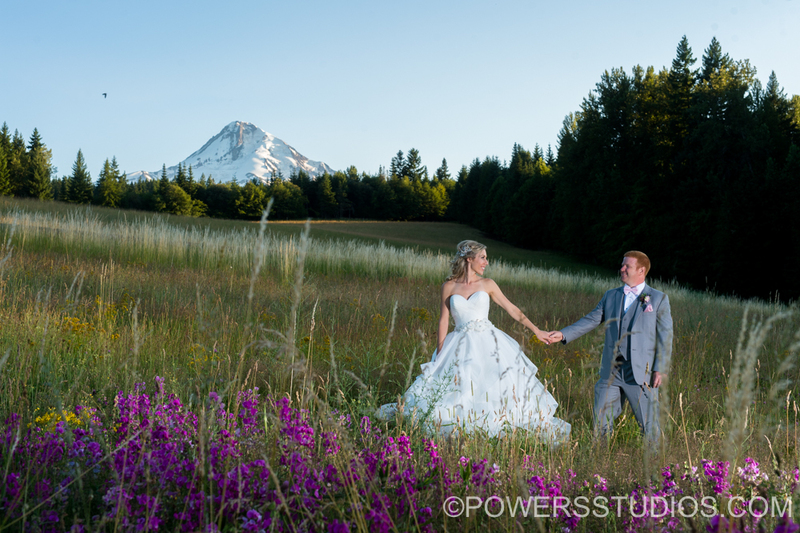 Marissa and Chandler enjoyed a truly stunning and breathtaking wedding day at Mt. Hood Bed and Breakfast. It’s one of my favorite places to photograph weddings at, and as always it did not disappoint. For decorations, Marissa put together an “Alice in Wonderland” theme, with various tea pots and china on display at tables for dinner. It looked incredible. These two are deeply in love. Chandler truly treasures Marissa as his soulmate. They did not see each other until Marissa walked down the aisle, and Chandler’s heartfelt reaction said it all. For the ceremony they incorporated a Yoruban wedding tradition, tasting four flavors (sour, bitter, hot, and sweet) which symbolize the highs and lows of a relationship. I had not seen this performed at a wedding before and it was a beautiful gesture. Mt. Hood treated us to a spectacular show, changing color as sunset, dusk, and twilight fell. At the end of the night, Chandler and Marissa enjoyed a spirited sparkler sendoff. We wrapped the evening with some amazing star shots. Very happy to take that extra bit of time to help capture it for these two. Congratulations again Marissa and Chandler, your day was amazing!